· how you may contact us. · User-provided Information. When you use Chasing-Innovation Products and Services, you may provide us with information about you, including your name, email address, mailing address, mobile phone number, and payment information (if you use Chasing-Innovation Products and Services to engage in purchases or financial transactions). You may provide us with information in various ways when using Chasing-Innovation Products and Services. For example, you provide us with information when you register for a Chasing-Innovation account, use Chasing-Innovation Products and Services, submit credentials or other information for account verification, upload or share photos or videos on or through Chasing-Innovation Products and Services, or send us customer service-related requests using Chasing-Innovation Products and Services or other means of communication. · User-provided Information About Others. We may also collect and store information about other people that you or other users provide to us. If you use Chasing-Innovation Products and Services to send others (friends, relatives, colleagues, etc.) information that may interest them (such as videos or photos hosted on Chasing-Innovation’s SkyPixel video and photograph hosting and sharing service (“SkyPixel”)) or messages (such as invitations to comment on videos or photos, use Chasing-Innovation Products and Services, or participate an event) through Chasing-Innovation Products and Services, we may store information about you and information relating to each such recipient. Similarly, if you use Chasing-Innovation Products and Services to upload, share and/or distribute content (including user rating information on Chasing-Innovation’s social networking application Chasing-Innovation+ Discover (the “Chasing-Innovation+ Discover App”), photos, videos, flight data, or other submissions), and such content contains information about others, we may store, process, and disclose that information as provided for under this Policy. · Cookies and Automatically Collected Information. When you use certain Chasing-Innovation Products and Services, we may send one or more cookies – small text files containing a string of alphanumeric characters – to your device. We may use both session cookies and persistent cookies. A session cookie disappears after you close your browser. A persistent cookie remains after you close your browser and may be used by your browser on subsequent visits to the Service. Please review your web browser “Help" file to learn the proper way to modify your cookie settings. Please note that if you delete or choose not to accept cookies, you may not be able to utilize the features of Chasing-Innovation Products and Services to their fullest potential. We may use third party cookies as well. For instance, we use Google Analytics to collect and process certain analytics data. Chasing-Innovation does not process or respond to web browsers’ “do not track” signals or other similar transmissions that indicate a request to disable online tracking of users who use Chasing-Innovation Products and Services. We may also automatically record certain information from your device by using various types of technology, including “clear gifs" or “web beacons.” This automatically collected information may include your IP address or other device address or ID, web browser and/or device type, the web pages or sites that you visit just before or just after you use a Product or Service, the pages or other content you view or otherwise interact with on a Product or Service, and the dates and times that you visit, access, or use Chasing-Innovation Products and Services. We also may use these technologies to collect information regarding your interaction with email messages, such as whether you opened, clicked on, or forwarded a message. This information is gathered from all users, and may be connected with other information about you. · Device-Related and Flight-Related Information. When you use Chasing-Innovation Products and Services, you will provide us with information relating to (i) your Chasing-Innovation Product or Service, your non-Chasing-Innovation device on which the Chasing-Innovation Product or Service is used (including computers, phones, or other devices where you install or access Chasing-Innovation Products and Services), and your photos or videos that you upload using Chasing-Innovation Products and Services. This information may include: (i) information about your non-Chasing-Innovation device (including your device ID, hardware version, and operating system); (ii) information about your Chasing-Innovation device (including the model and serial number of your device); (iii) geolocation data relating to your non-Chasing-Innovation device and Chasing-Innovation device and any photo or video you submitted using Chasing-Innovation Products and Services; (iv) information about any photo or video recorded, including the name of the video file, the length of the video, EXIF data relating to the photo or video, and the photo or video data itself; (v) other technical information, including the IP address used by your non-Chasing-Innovation device and flight record data; and (vi) data associated with your Chasing-Innovation account. When you choose to self-authorize or “unlock” flight operations on Chasing-Innovation hardware control applications (including IF.DIVE (the “IF.DIVE App”)) in locations that are categorized by Chasing-Innovation’s Geospatial Environment Online system as raising safety or security issues, we collect and retain geolocation information relating to your decision. In addition to the Device-Related Information described above, some of the features of Chasing-Innovation Products and Services may enable Chasing-Innovation to access your location in order to tailor your experience with the Chasing-Innovation Products and Services based on your location (“Location-based Services”). In order to use certain Location-based Services, you may be required to enable certain features of your mobile phone (such asWi-Fi, and Bluetooth), which enable Chasing-Innovation to identify your location through a variety of means, includingIP address, cell tower location, geo-fencing technology, or detection by physical on-location Wi-Fi or Bluetooth sensors. If your location is collected through Wi-Fi or Bluetooth sensors, please be aware that such sensors, and the associated data services, may be provided by a third party, which may access such information for the purpose of providing such data services to Chasing-Innovation. · Third Party Web Beacons and Third Party Buttons. We may display third-party content on or through Chasing-Innovation Products and Services, including third-party advertising. We also may enable you to connect your Chasing-Innovation account to, or otherwise interface with, third party services, including third party social networks and communications services. In addition, we may implement third party buttons (such as Facebook “like” or “share” buttons) that may function as web beacons even when you do not interact with the button. Information collected through third-party web beacons and buttons is collected directly by these third parties, not by Chasing-Innovation. Information collected by a third party in this manner is subject to that third party’s own data collection, use, and disclosure policies. · Information from Other Sources. We may obtain information from third parties and sources other than Chasing-Innovation Products and Services, such as our business partners, contractors, advertisers, and other third parties. · We use the information that we collect through Chasing-Innovation Products and Services to operate, maintain, enhance and provide features of the Chasing-Innovation Products and Services, to verify and manage Chasing-Innovation user accounts, to provide services and information that you request, to respond to comments and questions and otherwise to provide support to users, and to process and deliver entries and rewards in connection with promotions that may be offered from time to by Chasing-Innovation. · We use the information that we collect through Chasing-Innovation Products and Services to understand and analyze the usage trends and preferences of our users, to improve the Chasing-Innovation Products and Services, and to develop new products, services, features, and functionality. · We may use your information to contact you for administrative, informational, and marketing purposes. This may include providing customer service or sending communications, including updates on promotions and events, relating to products and services offered by us and by third parties we work with. We aim to obtain appropriate consent (where required under applicable) to send you marketing communications. · We may use information we collect to: (i) personalize Chasing-Innovation Products and Services; (ii) provide customized advertisements, content, and information; (iii) monitor and analyze the effectiveness of Chasing-Innovation Products and Services and third-party marketing activities; (iv) monitor aggregate site usage metrics such as total number of visitors and pages viewed; and (v) review your entries, submissions, and status in any promotions or other activities involving Chasing-Innovation Products and Services. · We may share your information with our mother company, affiliates and subsidiaries globally in order to provide you with Chasing-Innovation product and services. · Any information that you voluntarily choose to upload to a publicly accessible site or venue using Chasing-Innovation Products and Services (including sharing information on SkyPixel or on Chasing-Innovation’s online community forum, the “Chasing-Innovation Forum”), or that you elect to make public, will be available to anyone who has access to that content, including other users. · We work with third party service providers to provide payment facilitation, parcel transportation, application development, hosting, maintenance, flight environment data, account verification, and other services for us. We generally require these service providers to use or disclose the information they process on our behalf only as necessary to perform services on our behalf or comply with legal requirements. · We may preserve and disclose your information if required to do so by law or in the good-faith belief that such action is necessary to comply with applicable laws, in response to a court order, judicial or other government subpoena, warrant or request, or to otherwise cooperate with law enforcement or other governmental agencies. · We also reserve the right to preserve and disclose your information that we believe, in good faith, is appropriate or necessary to (i) take precautions against liability, (ii) protect ourselves or others from fraudulent, abusive, or unlawful uses or activity, (iii) investigate and defend ourselves against any third-party claims or allegations, (iv) protect the security or integrity of the Chasing-Innovation Products and Services and any facilities or equipment used to make the Chasing-Innovation Products and Services available, or (v) protect our property or other legal rights (including, but not limited to, enforcement of our agreements), or the rights, property, or safety of others. 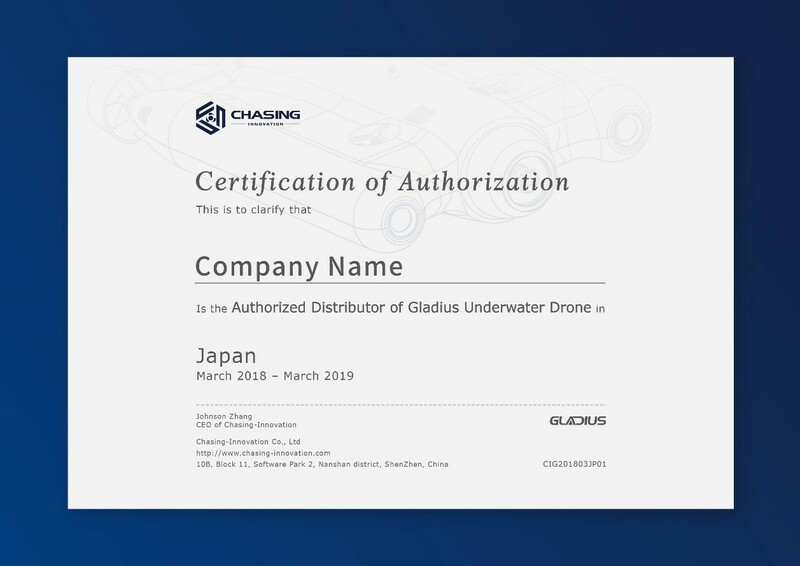 · Chasing-Innovation uses a third party verification service provider to verify certain users of Chasing-Innovation Products and Services and Chasing-Innovation may disclose information to this service provider. The service provider may retain credential information provided as part of account verification for compliance and other purposes and may provide such information, as well as your user login ID or email address, to government authorities, law enforcement agencies, regulatory agencies and other duly authorized parties as may be required by or permitted under applicable laws. We require this service provider by contract to use or disclose the information they process on our behalf only as necessary to perform services on our behalf or comply with legal requirements. · If you consent to our disclosure of information to a third party, such as business partners, or as otherwise authorized under applicable law. · Information about our users, including information you provided and any information collected through Chasing-Innovation Products and Services, may be disclosed and otherwise communicated to an acquirer, successor, or assignee as part of any merger, acquisition, debt financing, sale of assets, or similar transaction, or in the event of an insolvency, bankruptcy, or receivership in which information is transferred to one or more third parties as one of our business assets. · We may make certain aggregated, de-identified, or non-identifying information about users of Chasing-Innovation Products and Services available to third parties for various purposes, including (i) compliance with various reporting obligations; (ii) for business or marketing purposes; (iii) product safety analysis; or (iii) to assist such parties in understanding our users’ interests, habits, and usage patterns for certain programs, content, services, advertisements, promotions, and/or functionality of Chasing-Innovation Products and Services. Subject to applicable law, you may have the right to request access to and receive information about the information we maintain about you, update or correct inaccuracies in the information we maintain about you, and have the information blocked or deleted, as appropriate. Your right to access information we maintain about you may be limited under local law. You also have the right to object to the processing of your information or to withdraw your consent to our processing of information about you, including to the transfer of information to other countries. Note, however, that if you exercise your right to object or your rights of blocking or deletion, if you decline to share certain information with us, or if you withdraw your consent to our processing of information about you, we may not be able to provide to you some of the features and functionality of Chasing-Innovation Products and Services. If you receive commercial email or text messages from us, you may unsubscribe at any time by following the instructions contained within the email or text message. You may also opt out from receiving commercial email or text messages from us by sending your request to us by email at support@chasing-innovation.com. Chasing-Innovation Products and Services may contain features or links to websites and services provided by third parties. Any information you provide on third-party sites or services is provided directly to the operators of such services and is subject to those operators’ policies, if any, governing privacy and security, even if accessed through Chasing-Innovation Products and Services. We are not responsible for the content or privacy and security practices and policies of third-party sites or services to which links or access are provided through Chasing-Innovation Products and Services. Chasing-Innovation Products and Services are not directed to children under the age of 13. We do not knowingly collect information from children under the age of 13 without obtaining parental consent. Please revisit this page periodically to stay aware of any changes to this Policy, which we may update from time to time. If we modify this Policy, we will make it available on or through the Chasing-Innovation Products and Services, and indicate the date of the latest revision. In the event that the modifications materially alter your rights or obligations hereunder, we will make reasonable efforts to notify you of the change. Your continued use of Chasing-Innovation Products and Services after the revised Policy has become effective indicates that you have read, understood and agreed to the current version of this Policy. Our Contact InformationPlease contact us with any questions or comments about this Policy or our data practices by email at support@Chasing-Innovation.com. When you use certain Chasing-Innovation Products and Services, we may send one or more cookies – small text files containing a string of alphanumeric characters – to your device. We may use both session cookies and persistent cookies. A session cookie disappears after you close your browser. A persistent cookie remains after you close your browser and may be used by your browser on subsequent visits to the Service. Please review your web browser “Help" file to learn the proper way to modify your cookie settings. Please note that if you delete or choose not to accept cookies, you may not be able to utilize the features of Chasing-Innovation Products and Services to their fullest potential. We may use third party cookies as well. For instance, we use Google Analytics to collect and process certain analytics data. Chasing-Innovation does not process or respond to web browsers’ “do not track” signals or other similar transmissions that indicate a request to disable online tracking of users who use Chasing-Innovation Products and Services. We may also automatically record certain information from your device by using various types of technology, including “clear gifs" or “web beacons” (together with cookies, “cookies and similar technologies”). This automatically collected information may include your IP address or other device address or ID, web browser and/or device type, the web pages or sites that you visit just before or just after you use a Product or Service, the pages or other content you view or otherwise interact with on a Product or Service, and the dates and times that you visit, access, or use Chasing-Innovation Products and Services. Browsers will send cookies for a particular domain (such as Chasing-Innovation.com) to the website each time a device with those cookies accesses content from that domain. This means if your device stores cookies for Chasing-Innovation.com, it will send those cookies to Chasing-Innovation when it accesses a webpage at Chasing-Innovation.com. · Understand your interaction with our Products and Services, and those of our partners. If you do not have Chasing-Innovation account and have visited Chasing-Innovation.com, we will use cookie to protect Chasing-Innovation Products and Services, and Chasing-Innovation customers from malicious activity such as denial-of-service attacks and mass creation of fake accounts. This CI After-Sale Policy only to CI products you purchased from CI authorized dealers for your own use and not for resale. To protect your legal rights, please ensure the store you purchased from is equipped with CI authorized certificate. Any purchase from un-authorized retailer may result in failure to warranty. 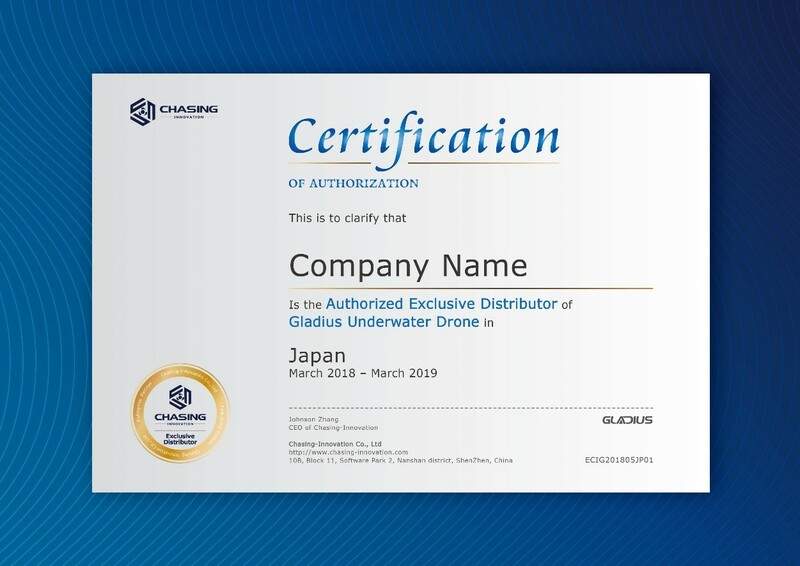 Below is the template certification of dealer. The warranty period for a product starts from the day once your product have been received, or otherwise be specified by CI. The warranty period and types of after-sales service that apply to your product are as specified in “Part II - Types of After-Sales Service” below. √ Backup all data contained on your product’s SD card. √ Remove all data, including confidential information, proprietary information and personal information, from the product. Or, if you are unable to remove any such information, modify the information to prevent its access by another party or so that it is not personal data under applicable law. CI shall not be responsible for the loss or disclosure of any data, including confidential information, proprietary information, or personal information, on a product returned or accessed for warranty service. Contact CI and specify your problem. CI will attempt to diagnose and resolve your problem by telephone, e-mail or online chat. CI may guide you to download and install particular software updates. If your problem cannot be resolved over the telephone or through the application of software updates, you may be required to deliver the product to CI for further examination. 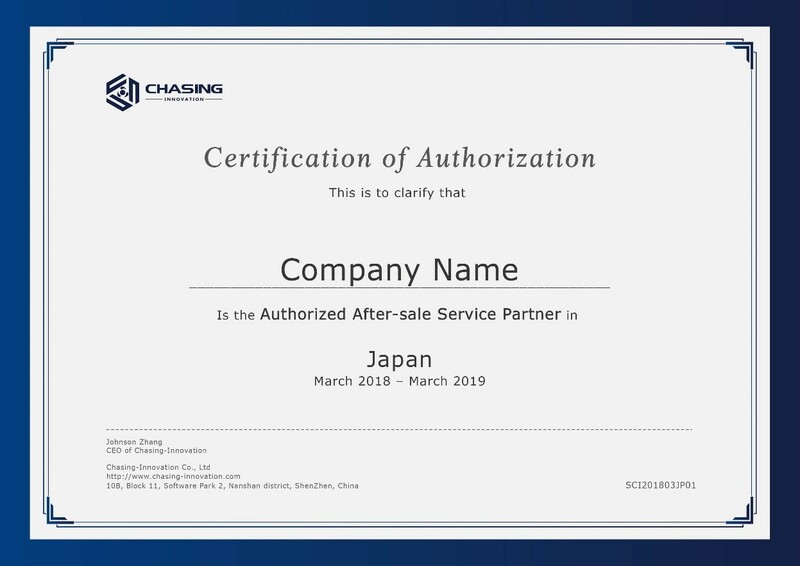 CI will arrange for service under the type of warranty service designated for the product under “Part II - Types of After-Sales Service” below if the problem with your product is covered by this After-Sales Policy. Otherwise, you may have to apply for customer-paid repair service. The detailed procedures is specified in “After-Sales Service Flow of CI”. When after-sales service involves the replacement of a product or part, the replaced product or part becomes CI’s property and the replacement product or part becomes your property. Only unaltered CI products and parts are eligible for replacement. Replacement products or parts provided by CI may not be new, but it will be in good working order and at least functionally equivalent to the Products or accessories that have been replaced by CI enjoy the same warranty during the remaining warranty period of the original product. Replacing a product or master component maybe bind a brand new S/N. × Damage or loss caused by subjective use or/and uncontrollable external factorsincluding collision, tsunami, biological swallowed or cable fault. × Damage caused by CI unauthorized modification, disassembly, or shell opening not in accordance with official instructions or manuals. × Damage or loss caused by a forced use when components have aged or been damaged. × Damage or loss caused by operating the unit with a low-charged or defective battery. × Products not purchased through CI official website or CI designated dealer. When receiving service, CI is responsible for loss or damage to your product only while it is in CI's possession or in transit, if CI is responsible for transportation. CI is NOT responsible for loss or disclosure of any data, including confidential information, proprietary information, or personal information, contained in a product. Under no circumstances, and notwithstanding the failure of essential purpose of any remedy set forth herein, shall CI, its affiliates, suppliers, resellers, or service providers be liable for any of the following even if informed of their possibility and regardless of whether the claim is based in contract, warranty, negligence, strict liability or other theory of liability: 1) third party claims against you for damages; 2) loss, damage or disclosure of your data; 3) special, incidental, punitive, indirect or consequential damages, including but not limited to lost profits, business revenue, goodwill or anticipated savings. In no case shall the total liability of CI, its affiliates, suppliers, resellers, or service providers for damages from any cause exceed the amount of actual direct damages, not to exceed the amount paid for the product. The foregoing limitation does not apply to damages for bodily injury (including death), damage to real property or damage to tangible personal property for which CI is liable under law. Please contact CI or your authorized CI dealer for more details. You will be required to fill out a repair form, which should be sent to us along with the to-be-repaired unit. √Within seven (7) calendar days of receiving a product if the product has a manufacturing defect, include all original attachment, manuals and other accessories in package, and is still in new or like-new condition. √Apply for refund can only apply for return service from the original purchase channels. × It is requested beyond seven (7) calendars days of receiving a product. The warranty period for Return & Refund Service, Replacement Service and Warranty Repair Service may vary with respect to your product, the part experiencing issues, or the country of purchase. × A product sent to CI for Return & Refund Service does not include all original accessories, attachments or packaging, or any item is not in new or like-new condition, i.e. with cracks, dents or scratches. × A legal proof of purchase, receipt or invoice is not provided or is reasonably believed to have been forged or tampered with. × Any fault or damage of the product is caused by unauthorized use or modification of the product, including exposure to moisture, entry of foreign bodies (water, oil, sand, etc.) or improper installation or operation. × Product labels, serial numbers, waterproof marks, etc. show signs of tampering or alteration. × Damage is caused to the product by uncontrollable external factors, including fire, floods, high winds or lightning strikes. × A product is not delivered to CI within seven (7) calendar days after Return & Refund Service confirmation is sent from CI. × Other circumstances stated in this policy. × CI will not be accepted if you have not applied for return service from the originally purchased channels. √ Within fifteen (15) calendar days of receiving the product if the product has sustained a substantial damage in transit, provided always that the damage proof issued by the carrier can be provided to CI. √ Within fifteen (15) calendar days of receiving the product if the product does not match the original description of the product in one or more significant respects. √ Within fifteen (15) calendar days of receiving the product if the product suffers performance failure. × Service is requested more than fifteen (15) calendars days after receiving a product. × Legal proof-of-purchase, receipts, or invoices are not provided, or are reasonably believed to have been forged or tampered with. × A product sent to CI for replacement does not include all original accessories, attachments and packaging, or contains items damaged by user error. × A product is found to have no defects after all appropriate tests are conducted by CI. × Product labels, serial numbers, water damage marks, etc. show signs of tampering or alteration. × Damage is caused by uncontrollable external factors, including fires, floods, high winds, or lightning strikes. × Proof of damage during transit issued by the carrier cannot be provided. √ The product must not have been subjected to abnormal or unauthorized used, as intended by the manufacturer during the warranty period. √ No unauthorized disassembling, modification or installation has been performed on the product or a component. √ You provide a valid proof-of-purchase, receipt or order number (for CI Direct Sales). × Damage or loss caused by incorrect use or/and uncontrollable external factors including collision, tsunami, biological swallowed or cable fault. √ The warranty period for Return & Refund Service, Replacement Service and Warranty Repair Service may vary with respect to your product, the part experiencing issues, or the country of purchase. Please refer to Terms of Sales for the warranty period for your product and products in your country. √ Customers are responsible for shipping costs when sending product(s) for return, repair or replacement. CI will examine the returned product(s) to identify the problem. If the problem qualifies for service under this policy, CI will bear the cost for refund, replacement, or repair and shipping cost of return to customers. Otherwise if product issue is not covered in warranty, customers will bear the cost for detection, replacement, repair and shipping cost of return to customers. √ If CI determines that the issue in question is not covered by this CI After-Sales Policy, you will have to apply for Customer Paid Repair Service. CI will not start repair until you agree to the cost for repair quoted by CI. If you disagree with the cost for repair, CI will return the product(s) with you burdening the cost of return shipping. √Replacing a product or master component maybe bind a brand new S/N. √ Please be aware that where a product is capable of retaining user-generated data, such data may be lost during the repair process. We therefore recommend that you back up your data prior to any repair. √ Customers can obtain warranty service only at a designated CI repair center in the region where he/she purchased the product. However, depending on part availability, customers can obtain cross-regional repair service at an additional charge. The Warranty for the GLADIUS MINI is 12 months from the date of sale to the End User. The following conditions are not covered by the warranty. The Warranty for the GLADIUS MINI is 24 months from the date of sale to the End User. You must be at least 18 years old to place orders on the CI Online Store. If you are not eligible or do not agree to any of the Terms, then you may not use the CI Online Store to place orders. In addition to the return and replacement services provided under the After-sales Service Polices, as well as your statutory rights under applicable law, you may return a purchased item within 14 calendar days of the date the product is delivered to your address, for a replacement or a refund based on the original payment method*. Any returned item for such refund or replacement must meet one of the following criteria: \1. The item has manufacturing defects; or \2. The item has no manufacturing defects, shows no wear or damage, unaltered from their original state, and in a condition that permits us to resell them. Please note that you need to send us a refund or replacement request before you return any items. Your refund and replacement requests can contact us or via CI online support. Hardware Returns: If you are returning hardware, you must include the product(s), complete and standard accessories (includes but not limited to the charger, USBcable, user manual), the original manufacture packaging, validproof-of-purchase(s) or invoice(s) and gifts to our designated address. Software Returns: If you are returning software, you must also include all media andproduct keys. Since our software are subject to electronic download, we willcancel or modify the access to the download link(s) or the digital key(s) ofthe product upon your refund and replacement request. We may also require youto sign an electronic letter of destruction as a condition of refund andreplacement of software products. Failure to include items requested in this section may prevent or delay your refund orreplacement. All shipping cost including, without limitation, shipping fee,insurance, brokerage, duties, freight for returned goods shall be at your ownexpenses. If you choose payment on delivery, we will deduct the delivery costfrom your refund. Upon receiving the items, we will send you a test report. Oncethe return criteria are confirmed, we will refund or replace your product(s) asyou request. A refund or replacement will not be provided in following cases: \1. The product is not originally purchased from the CI Online Store. \2. The product is returned beyond 14 calendar days of the date the product is delivered to your address. \3. Products and/or product labels, serial numbers and packaging show wear, damage, or signs of tampering or alteration. \4. Product sent in for refund does not include all original accessories, attachments and packaging. CI reserves the right to change prices for products displayed on the CI OnlineStore pages at any time without notice, and to correct pricing errors that mayinadvertently occur. If a pricing mistake occurs on the CI Online Store, youagree that CI will not be bound by that incorrect price, unless you havealready been charged. In case of pricing errors on the website or made inconnection with your order, we will send you notifications to allow you tocontinue your transactions at the correct price, or cancel your order withoutany cost on your side. The CI Online Store sells and ships products to end-user customers only. You may not commercially distribute, publish, license, or resell any product or services obtained from the CI Online Store. We reserve the right to refuse or cancel your order if we have reasonable grounds to believe you are purchasing productsfor resale. United States, Canada, and Mexico Shipping Only Products purchased from the CI Online Store will only be shipped to address within Canada, United States, and Mexicoand are subject to applicable export control laws and regulations. Products must be purchased, sold, exported, re-exported, transferred, and used incompliance with these export laws and regulations. To purchase CI productonline from other countries, please select your country or region through the CIOnline Store. Order:The order you submitted through the CI Online Store is subject to acceptance by CI, and CI reserves the right to reject any order, in whole or in part, at CI’s sole discretion at any time before shipment or delivery, as the case may be.Reasons for rejections of order include, but not limited to, credit cardrejection, out-of-stock products or service, and/or unusually large orexcessive quantities of products or service ordered. Acceptance of one order is independent from any other order. Quoted prices may change due to shortages inmaterials or resources, increase in the cost of manufacturing, or otherfactors, up to the point we accept your order. Confirmation Email: Once we receive your order and payment, we will send you a confirmation email. Your order should NOT be deemed accepted by CI until you receive the order acceptance email from CI. CI may require additional information from you prior to accepting or processing your order. Please notify CI immediately ifany of the items listed in the confirmation email are incorrect. Order Acceptance Email: Once we accept your order and prepare it for shipping, we will send you an order acceptance email. The email will include ship mentdetails. In most cases, items in stock can be shipped within twenty-four hours. For items out of stock, you will receive the order acceptance email when theitem becomes in stock and is prepared for shipping. You can cancel orders thathave not yet been shipped from our warehouse. If you submit an order cancellation request after we ship your product, we will process your refundafter the product is returned to our warehouse. You can login to your CI account to track your order’s shipment status. If you place your order as aguest, please check the emails sent by CI for any shipping information. You acknowledges and agrees that any shipment dates specified are estimates onlyand are subject to change, under such case, CI will send out notice regarding the revised shipment dates within 30 calendar days. If you do not accept the revised shipment dates, you may cancel the order and obtain a refund by contacting CI customer service. If we do not hear from you before we ship the products to you, we will assume that you have agreed to the shipment delay. Delivery shall be deemed complete and risk of loss shall pass to the customer sat the point of delivery. All shipping costs including, without limitation,insurance, brokerage, duties, freight are extra and are the responsibility of the customers. Please validate each shipment against the attached packing slips for accuracy of items and quantities promptly upon receipt. Upon discovery of any discrepancy between the attached packing slips and the shipment, such asmissing, wrong, or damaged portion of the product, please notify CI immediately with the relevant damage claim(s) requested from the logistics company. CI maynot be able to issue refund without relevant damage claim(s). Product availability are subject to change at any time and without notice. CI reserves the right to place a limit on the quantities that may be purchased per order, per account, per credit card, per person, or per household. For preordered products, CI cannot guarantee to supply sufficient products to each order. If we are unable to supply the products or services that you ordered after confirming your order, we will cancel your order and offer you a refund. CI may, at its sole discretion, refuse or cancel any order and limit orderquantity. CI will notify you in advance if such situation occurs.